Light complexion patients are best candidates for chemical peels. 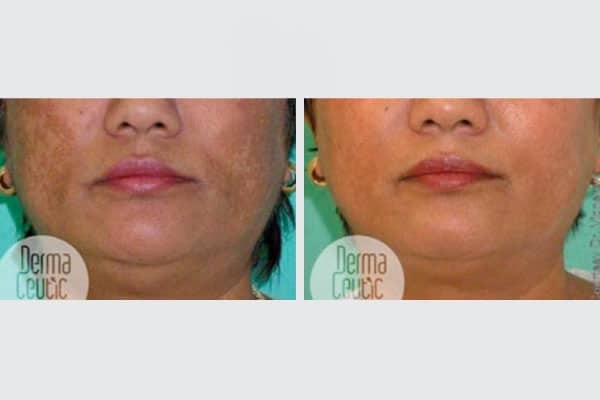 Darker skin patients, may also have good results, but we should be very careful in treating this skin because of increased risk of getting post peel hyperpigmentation. An ideal candidate for a chemical peel is in good physical health, understands the procedure, and has realistic expectations of the outcome. You are likely to be pleased with the results of a chemical peel if your goal is to alleviate acne, smooth wrinkles, improve skin texture, eliminate age spots, or reduce the effects of sun damage. If your skin burns, itches, or swells, contact our dermatologist. Rubbing or scratching skin treated with a chemical peel can cause an infection. 1- Past medical history of the patient about scarring, recurrent herpes simplex. 2- Past drug and cream history: like tretinoin or glycolic acid. You can ask our dermatologists about the depth of your peel. This decision depends upon the condition of your skin and your goals for treatment. Before getting a chemical peel, some patients need to follow a pre-peel skin care plan for 2 to 4 weeks. This plan can improve results and reduce potential side effects. Our dermatologist will tell you whether this is necessary. On the day of your peel, you will first be prepped for the treatment. This includes cleansing your skin thoroughly. After you are prepped, our dermatologist will apply the peel quickly and evenly. It is common for the patient to feel a tingling or stinging sensation as the chemical peel is applied. Our dermatologist will watch your skin carefully to remove the peel at just the right time. After the peel comes off, your skin will be treated as needed. Patients who get a medium peel may need cool compresses followed by a lotion or cream to soothe their skin. All peels that a dermatologist performs require some at-home care. 1- Refreshing or lunchtime peel (superficial peel): 1 to 7 days. Alpha hydroxyl acid (AHA) peels use glycolic acid as the peeling ingredient and these are considered superficial to medium peels depending on the concentration utilized. Typically the concentrations range from 30% to 70%. AHA peels are effective in improving skin texture, causing some collagen and elastin rebuilding, minimally reducing the appearance of acne scarring, and reducing the appearance of skin discolorations. Repeated treatments are necessary for all concentrations to maintain results. After any peel, the practitioner should apply a broad-spectrum sunscreen (preferably one whose only active ingredients are titanium dioxide or zinc oxide) to your skin. Skin will be sun-sensitive for a few weeks after the peel, and it makes sense to use sun protection to protect the investment you just made. Don’t bother with peels if you insist on getting a tan, either from the sun or from a tanning bed. Certain chemical peel solutions are useful for treating acne blemishes and diminishing existing acne scars. Light chemical peels administered with a solution of alphahydroxy acids (AHA) can be beneficial for treating acne. A lower-strength AHA solution can be mixed with a facial wash as part of a daily skin-care routine. Beta hydroxyl acid (BHA) or salicylic acid peels are not as popular as AHA peels, yet they can be equally effective and have specific advantages for some skin types. A salicylic acid solution can work in a way that is similar to a glycolic acid peel, but irritation may be reduced. Salicylic acid is a compound closely related (acetylsalicylic acid), and it retains its aspirin-like anti-inflammatory properties. A deep BHA peel can be superior for many skin types because the irritation and inflammation are kept to a minimum due to the analgesic action of the BHA compound. Salicylic acid is also lipid soluble; therefore, it is a good peeling agent for blemish-prone skin with blackheads. The most common concentrations used today are 20% to 30%. BHA peels are also the preferred option for those with sensitive skin, including skin affected by rosacea. Trichloroacetic acid (TCA) peels (sometimes called Blue Peel) in concentrations up to 50% are superficial to medium peels and have been around for years with a history of being effective and safe. This type of peel can be used for peeling the face, neck, hands, and other areas of the body. It is excellent for “spot” peeling of specific areas. TCA peels are best for fine lines but are minimally effective on deeper wrinkling. Is a medium-depth peel containing 14% salicylic acid, 14% lactic acid, and 14% resorcinol. Though considered effective and easy to use, there is little research on this method. We do know this peel becomes stronger as more layers are applied. 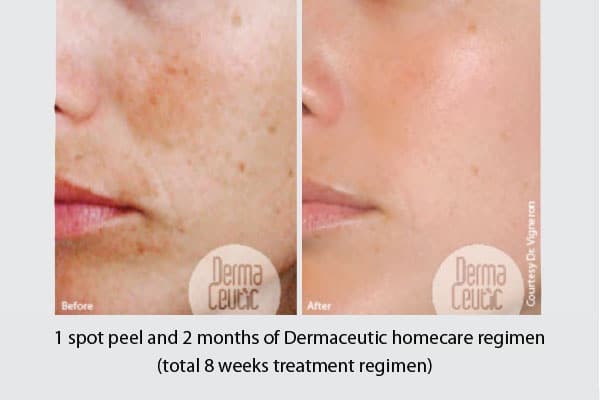 The amount of resorcinol in this peel makes it more irritating than AHA or BHA peels, and it is generally not recommended for those with dark skin tones due to the risk of resorcinol causing post-inflammatory hyperpigmentation. Whether to have a peel and what type to get depends on the condition of your skin, your skin type, and keeping your expectations realistic. Most important is for you to know that a peel isn’t an anti-aging cure-all. 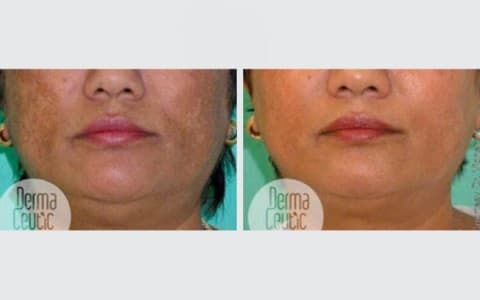 For example, peels cannot help with sagging skin and they don’t replace the results possible from cosmetic corrective procedures such as injection or any of the numerous dermal fillers. Peels are helpful for improving skin tone, texture, and for some cases of hyperpigmentation (brown spots) but for best results, they must be accompanied by daily use of a well-formulated sunscreen rated SPF 30 or greater along with a brilliant anti-aging skin-care routine. Now that’s a beautiful combination proven to help you look younger, longer! Patients are urged not to smoke for a few weeks before and after a chemical peel. The best outcomes will be achieved in patients who are not taking the acne medication Isotretinoin, have not taken it for the previous year and a half, and who are free of active skin infections. Also, if you have large or unusual scar formations, such as keloids, our dermatologist may recommend a different treatment for you. When performed by experienced cosmetic dermatologist, chemical facial peels are safe. 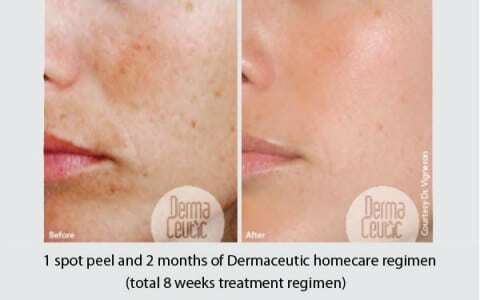 With light and medium peels, relatively mild chemical peel side effects such as redness, stinging, and crusting usually subside within a day or two after the treatment. More serious side effects, such as infection and scarring, are possible, especially with medium chemical peel. However, serious side effects are rare when the procedure is performed by our qualified dermatologists. You can reduce the risks associated with facial peels by following all of the doctor’s instructions completely and by providing your doctor with a complete medical history. A chemical facial peel can provide several benefits to the skin. The procedure can restore a more youthful appearance to skin and reduce wrinkles, uneven pigmentation, sun-damage, and blotchy patches.